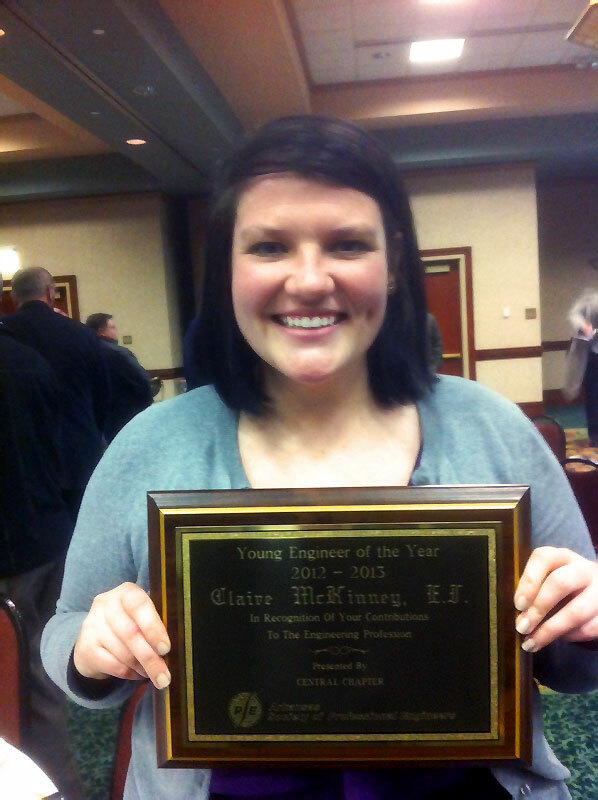 The Arkansas Society of Professional Engineers Central Chapter has named Claire McKinney, EI as its Young Engineer of the Year. Claire is a civil engineer in Garver's Traffic Design Center in North Little Rock, Arkansas. The annual award recognizes a young ASPE member who has made outstanding contributions to the engineering profession and community. "Claire is a joy to work with. She is very dedicated to her work and doesn't sit back and wait to be told what to do," said Traffic Team Leader Nicci Tiner. "I am very proud that she received the Young Engineer of the Year award." Claire began her career at Garver as a summer intern and has matured into a project engineer in the Traffic Design Center. Within just a few years, Claire has provided services on large engineering projects in Arkansas and surrounding states, including the Conway Western Arterial Loop and the new Broadway Bridge over the Arkansas River. Claire performs traffic counts and intersection analyses, designs traffic signals, computes traffic and roadway quantities, develops signing plans and maintenance of traffic plans, and works on Intelligent Transportation System designs. She is also a leader outside the office. Her interests include juvenile arthritis and arthritis research fundraising, the Habitat for Humanity, and the Salvation Army Angel Giving Tree program—Claire organized the gift-giving event this past Christmas at Garver. 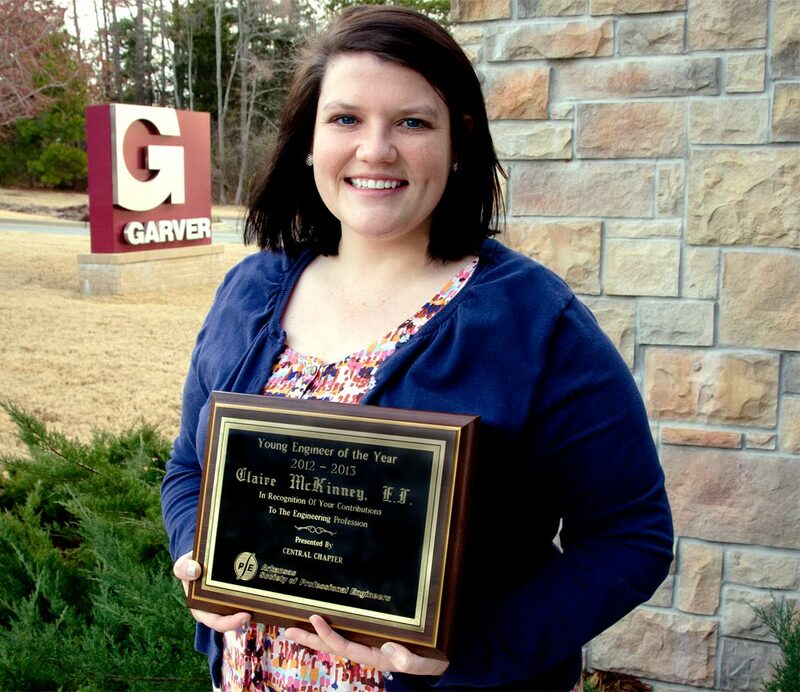 Garver is proud of Claire's achievements, leadership qualities, and professional service.